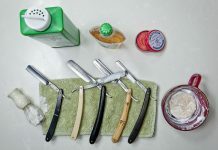 Most men are familiar with the numerous liquid after shave products on the market today. 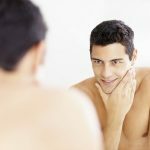 Although liquid aftershaves are more popular, many modern dermatologists are recommending the use of an after shave balm. An after shave balm tends to have a thicker consistency and usually has a good dose of aloe vera to help moisturize the skin. 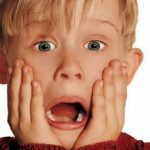 Neglecting to use a lotion after your shaving sessions can easily lead to irritated, red skin patches, ingrown hairs, razor bumps, and even advanced skin aging. While you might get by with traditional liquid aftershaves, an after shave balm is particularly good for men who have extra-sensitive skin and are irritated by alcohol-based liquid solutions. 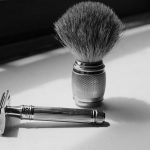 In this article, we’ll take a look at five ways to use after shave balm in your daily shaving routine. 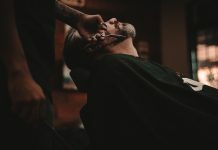 If you’re on the fence about switching from traditional after shave to an after shave balm, give this list a quick read through. 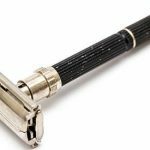 By the end of this short piece, you should have a good idea whether or not using after shave balm is a good idea for you. It’s always best to use warm water to prep your face for shaving. Lukewarm water naturally opens the skin’s pores and loosens up facial hair to make it easier to manage. Better yet, take a warm shower before shaving. After you’re done shaving, don’t use hot water to rinse off. Instead, use cold water. The cold water will close your pores and stop any slight bleeding if you happened to nick yourself. 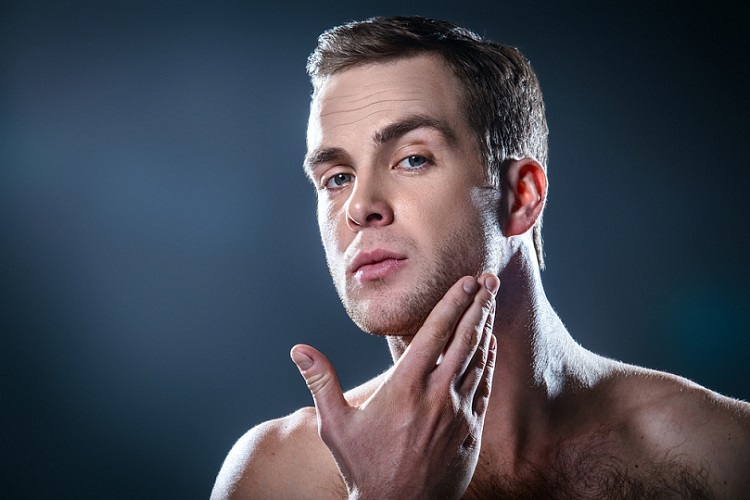 Before applying after shave balm, dermatologists recommend putting cold water on your hands and patting your face gently. You can then dry off with a clean towel. 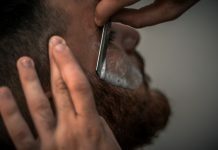 Before putting the after shave balm on your face, it’s best to put a teaspoon or a quarter-sized amount into your hands and rub the mixture together. The consistency of whatever balm you’re using will determine how much of the balm you should place in your hand. After a few seconds, you might experience tingles in your fingers. That’s a good sign. You really want to mix up all of the vitamins, minerals, and healing properties in this balm as well as you can. Only after you feel your balm has been well emulsified should you begin applying it to your face. As you apply the balm to the shaven area of your skin, skin experts recommend using circular motions. Move your hands slowly upwards, all the while moving in circles. This all promotes greater absorption. Check with your after shave balm’s description to figure out whether or not your product can be applied to the entire face or not. 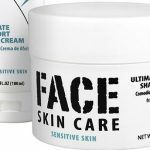 There are a few products on the market that are designed for men with certain facial skin conditions. 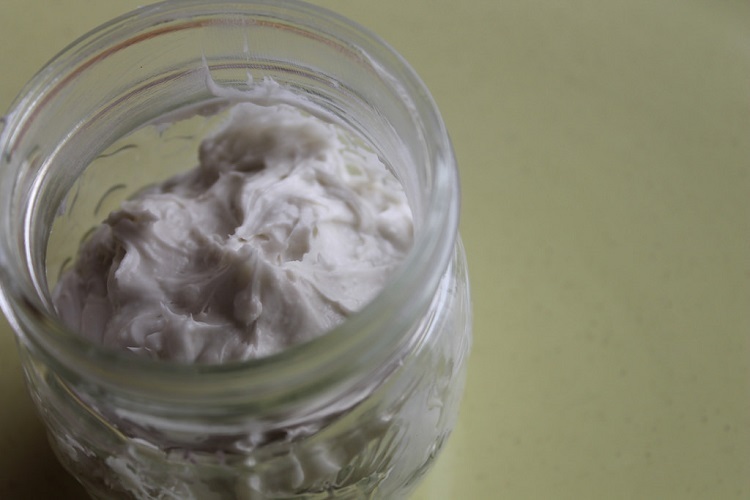 If you do have a particular skin condition, you might want to add another moisturizer to your daily routine. For example, men with dry skin see a great benefit using a moisturizer before they go to sleep each night. Men with oily skin, on the other hand, should look for an after shave with a right amount of toner and use a facial scrub a few times a week. After you’ve incorporated this balm into your skin, you should wait at least five minutes for the product to fully be absorbed into your skin. If you like the scent, or if you purchased an unscented balm, you might like to leave the lotion on your face. Otherwise, you can wash off the balm with some more cold water if you feel like it. No matter what option you choose, just be sure to wait at least five minutes before you even touch your skin again. Most of the time you’ll want to leave the shaving balm on your face throughout the day to get all the healing properties it offers. As hinted at above, the ingredients in your after shave balm will have different effects on your skin. Although balms with more organic herbs and oils may cost you more, they will offer your skin greater protection. Some of the top ingredients for promoting healing including chamomile, aloe vera, rose oil distillate, Vitamin D, lavender, and jojoba oil. People with sensitive, dry, or oily skin should avoid any products that contain too much camphor, eucalyptus, grapefruit, lemon oil, and alcohol. Nowadays shave balms are getting more and more popular. Therefore, many men’s health magazines are releasing their “Top 10” lists of the best balms on the market. 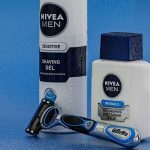 The cheapest balm on the market that offers a truly high-quality experience is probably Nivea Men Sensitive Post Shave Balm. Nivea’s after shave balm comes with chamomile extract, plenty of vitamin E, and even some provitamin B5. The greatest factor about this Nivea product is that it’s only around $5 for a three-ounce bottle. Another affordable after shave balm is L’Oréal’s Men Expert Hydra Energetic After Shave Balm, which is only around $10 on Amazon. For anyone out there looking for a more “high-class” balm, take a peek at the L’Occitane Cade After Shave Balm For Men and The Art of Shaving After-Shave Balm. 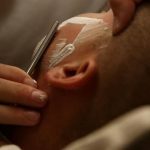 Whether you end up using an after shave balm or continue to use liquid splashes, it’s important to check out what exactly is in your chosen after shave product. Good after shaves always have conditioning agents to help with miniaturization, humectants to attract local moisture into the skin, antioxidants, and proteins to help heal the skin. Although most cheaper after shave products contain a lot of alcohol, too much alcohol could dry out and irritate the skin. If you have the money to spend, always opt for after shave products with little or no alcohol content. Whatever aftershave you use, be sure to make applying aftershave a part of your daily shaving regimen. It’s important to take care of your skin as much as possible, especially after you just put a razor against it!